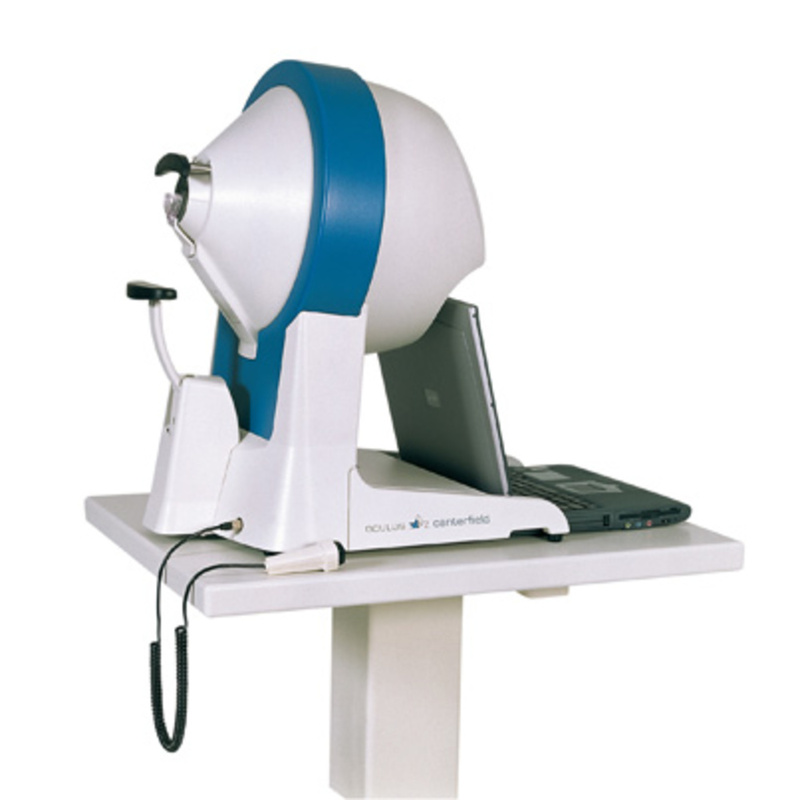 During static visual field examinations detailed information is collected on differential light sensitivity (DLS) in various test locations of the visual field. For this purpose standardised light stimuli (usually Goldmann size III) are presented to the patient in the perimeter from different directions. Responses are documented and assessed. Always up to date: Use of an external computer makes it possible to run the device with specific operating and analysis software which always keeps it on the cutting edge of today’s rapidly changing information technology. Employs all measurement principles: The Centerfield® 2 perimeter performs automated static examinations as well as automated kinetic perimetry. Networking capability: The OCULUS Centerfield® 2 offers straightforward networking capabilities out of the box, DICOM compatibility and easy EHR integration. 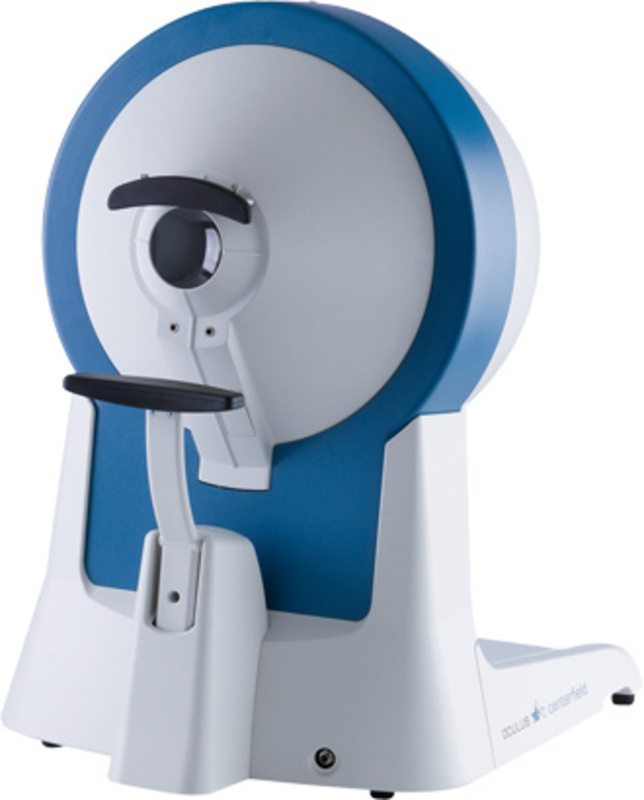 Remarkable adaptability: The OCULUS Centerfield® 2 is easy to customise with its versatile hardware configuration options and flexible examination programmes.